The Grand Canyon, one of the Seven Natural Wonders of the World, is obviously protected from mining development, right? Uranium mining outside park boundaries threatens to contaminate water sources that plants, animals, and communities rely on. Is America willing to sacrifice a place so magnificent and important, not just to our family vacations but to the very water supplies of millions of people, for the benefit of the private mining industry? 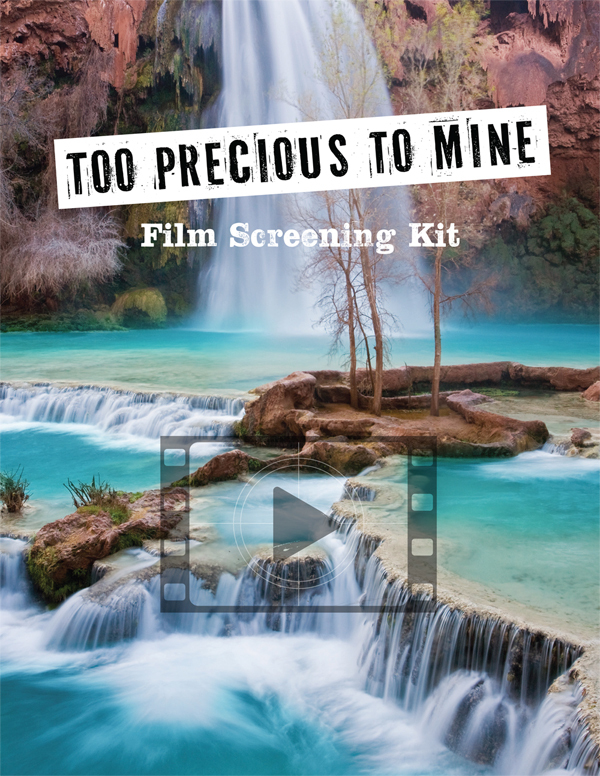 To show you what’s at risk, the Grand Canyon Trust teamed up with filmmaker Justin Clifton to bring you this short film. We hope it informs and inspires you to take action. In 2012, Secretary of the Interior Ken Salazaar put a temporary stop on new uranium mining on more than one million acres around the Grand Canyon. The 20-year ban on new claims gives researchers time to study the region’s groundwater flows and better understand the risks mining poses to water sources in northern Arizona. However, this fall, the Forest Service recommended revising the ban. It’s uncertain what changes the agency has in mind, but this we know: Allowing new uranium mines to drill around the Grand Canyon before we understand the impacts is a gamble, one that’s not worth the risk of irreversibly harming one of the most magnificent landscapes on Earth. If the Supai water is contaminated, the future of my society, of my people, will disappear. The Havasupai, whose name means “people of the blue-green water,” live in a remote village deep inside the Grand Canyon. While the incredible waterfalls there draw tourists from around the world, the turquoise waters, for the Havasupai people, represent their identity and sole source of water. Uranium mining on the rim could contaminate Havasu Creek, devastating the Havasupai people’s traditional way of life. Mining does not drive our economy here. Access to public lands, that's what is our important economic driver here. In northern Arizona, the canyons, forests, and mountains draw millions of visitors each year. People travel from all over the country and world to stand on the rim of the Grand Canyon. The travel and tourism economy contributes an estimated 18,000 jobs to the northern Arizona economy. Travelers to the region also contribute $168 million in state and local taxes. Comparatively, if the withdrawal weren’t in place, it’s estimated that the mining industry, which pays no royalties on uranium, could support 636 jobs (including jobs not directly with mining companies). And even so, while any environmental consequences of uranium mining live on, uranium mining itself is not a long-lived endeavor. The uranium reserves at Canyon Mine, for instance, are estimated to reach depletion after ten years of mine operation, and Energy Fuels estimates its Canyon Mine operation will employ just 60 people at peak operation.